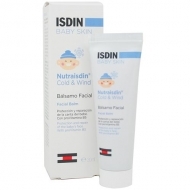 Reinforces the protective film of the skin. 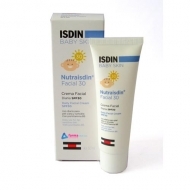 DESCRIPTION: Nutraisdin Perioral from Isdin is a cream that is indicated to repair irritations of the skin in the perioral area (nose and mouth). Many aggressions can occur in the perioral area throughout a baby's life due to teething, pacifier use, rhinitis, colds, weather offenders, and many other factors. 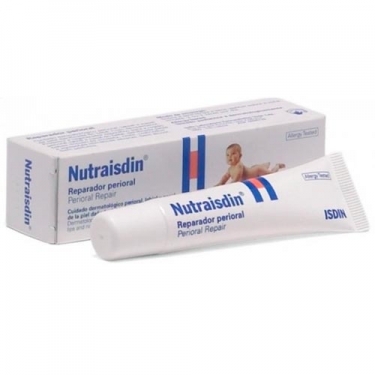 This repair cream allows the skin to be repaired due to its formula enriched with hyaluronic acid and rosehip oil while at the same time protecting it by creating a thin protective layer that does not allow aggressors to reach the skin. Apply to irritated, previously cleaned skin.